Akashic Explorations is an opportunity to step into your highest potential self while taking you to the next level. Co-creating with others in a playful, imaginative way which can spark your own imagination and open possibilities. Akashic Explorations is an experiential interactive multidimensional playground, and a pod of individuals sharing and supporting one another. 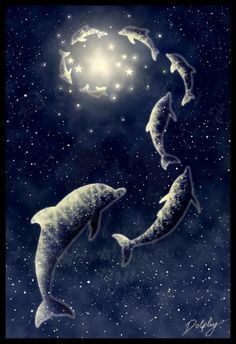 We will meditate together, and in doing so bring through light codes that bring us to a higher level of frequency and also help us feel a greater connection to our divinity and our support from our guides and angels. Not only are we experiencing divine connection, we also wish to manifest the expression of our true selves in physical form, bringing our expression down to tangible reality. What would you like to create that would make your heart sing? Perhaps you don't know yet, but sense there is a higher purpose you wish to tap into. Akashic Explorations is to spark creative expression in all that we do whether it is writing, the arts, or our way of living. We may open up to new forms of creative expression translating light codes of source into form whether glyphs, songs, visions that we share. In sharing with one another, we uplift one another and celebrate and remember who we are, opening the doors of what is possible. Facilitator and guide Shivrael (Shannon Brophy/Luminance River) is an Akashic Reader, a facilitator of world wide spiritual gatherings for planetary service called divine councils. She is an ascension writer and teacher. She is an energy healer, and living in Mt.Shasta, California, working to bring unity and pods and cities of light for the shift to the New Earth. Her passion is empowerment, bringing together people in support of all life on planet earth. What is included: Attend three 2-hour sessions weekly in December plus receive a recording after each session. We will also connect on Facebook and be encouraged to gather to practice with one another outside of the course. Dates: Three sessions take place during December at 10am Pacific (California time.) The first session is on December 5, 2015. The second session is December 12 and the third and final session is December 19. The time conversions around the world are at this link. We meet on Zoom Conferencing and a link will be provided upon registration for the course. Each session is approximately 2 hours. How it works: Zoom conferencing works on a phone, and also online as an audio conference. The audio conference software is easy to use. You click the link and it downloads automatically, easily and quickly, and then you sign in with your name and attend the conference. We will mostly use audio conferencing though it has video capabilities. You can also use your PC, Mac, Linux, iOS or Android to listen and participate in the pod meeting. You can choose to join by phone or by computer or device such as a tablet or smart phone. The cost is $49 for all 3 sessions. Donation for the course is via Paypal to Shivrael Shannon Brophy with an email of shannon@yogisource.com. You will then be added to the course and receive the log on information. Also, please fill out the contact form to the right and let me know what you would love to get out of the course and why you are drawn to it. Feel free to include information about you as well as I would love to know you better. The yellow button below and on the left is to pay for the course. Thank you so much for your support and for your interest and excitement about this project.